Learn how to reduce a PDF file size without having to regenerate the PDF file. In this tutorial, learn how to reduce a PDF file size (sometimes called optimize PDF or compress PDF) without having to regenerate the PDF file, regardless of the preset used to create a file. The size of a PDF file can vary tremendously depending on the Adobe PDF settings used to create the file. For example, files created using the High Quality Print preset will be larger than files created using the Standard or Smallest File Size presets. Regardless of the preset used to create a file, you can often reduce the file size without having to regenerate the PDF file. In this section, you'll use the Reduce File Size command to dramatically reduce or compress the size of a PDF file. In Acrobat, open a PDF file. Choose Document > Reduce File Size. Select Acrobat 8.0 And Later for file compatibility, and click OK. When you choose the compatibility level, be aware that the newer the version of Acrobat that you choose, the smaller the file. If you choose compatibility with Acrobat 9, however, you should be sure that your intended audience does indeed have version 9 installed. Name the modified file. Click Save to complete the process. It is always a good idea to save a file using a different name so that you don't overwrite an unmodified file. Acrobat automatically optimizes your PDF file, a process that may take a minute or two. Any anomalies are displayed in the Conversion Warnings window. If necessary, click OK to close the window. Minimize the Acrobat window. View the size of the reduced file. The file size is smaller. You can repeat steps 1-5 using different compatibility settings to see how they affect file size. note that some settings might actually increase the file size. PDF Optimizer offers more opportunities to control quality trade-offs. Choose File > Close to close your file. WE have followed all the steps in the tutorial and our file sizes are still too large. Other solutions? Yes, running OCR on a scanned image can also significantly reduce the file size—plus make it easier to search! The OCR trick gave the best results. I’m very nervous about downloading a thir party software to do this. I’m not sure what ad ons might be coming along with this silver bullet. 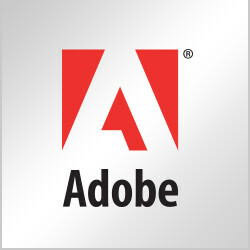 You need Adobe Acrobat and not just the free Reader to run the Reduce File Size command. I just shrank down a file from 14MB to just under 8MB by running it through the OCR recognition. Document>OCR Text Recognition. It takes a few minutes, but it works much better than using the Reduce File Size, as that only reduced it from 14MB to 11MB. I will continue to utilize this tip. You’ll need either Acrobat Std or Pro. to use the Reduce File Size feature. how to reduce size of pdf file.. I have found that I can shrink the file size just by running the file through OCR recognition. I just shrank a 12M file down to 5M. I followed those steps but it the file size (10.0MB) remained the same?